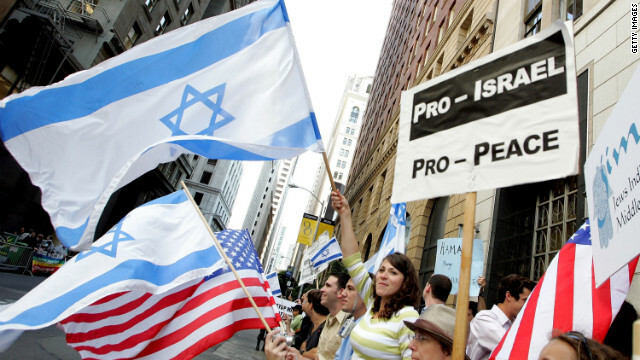 Some see signs of growing strife within American Jewry over the issue of Israel. Atlanta (CNN) - When the editor of a Jewish newspaper here wrote this month that the Jewish state might consider assassinating an American president, his column made national headlines and provoked a Secret Service inquiry. The most striking criticism came from the Jewish community itself, which collectively held its nose and harshly denounced the column by Andrew Adler, who is also the owner of the weekly paper, the Atlanta Jewish Times. Anti-Defamation League national director Abraham Foxman called Adler's words "irresponsible and extremist." Adler apologized and resigned as editor, but some see the episode as the latest example of an increase in divisive, over-the-top rhetoric within American Jewish communal life, revolving largely around the hot-button issue of Israel and its policies toward the Palestinians. The tensions have provoked Jewish groups across the country to launch programs aimed at lowering the political temperature in their own religious communities. "Since the Lebanon invasion and the First Intifada, it has become a dividing line,” he said, referring to the Palestinian uprising against the Israeli occupation in the late 1980s. “It's probably deeper now than I've ever seen it." Tensions within American Judaism are rising as some Jews detect an "existential threat" to Israel, with Iran's nuclear aspirations and Islamist parties coming to power during the Arab uprisings, he says. Freedman also sees broader trends at work, including the fading line between private and public talk dissolving in the era of blogging and tweeting. The Atlanta Jewish Times incident, he says, is a reminder that words that sound bold in private will "resonate really differently when they are out in public." Ethan Felson, vice president of the Jewish Council for Public Affairs, says emotions have been much more "intense and destructive" lately as ideological camps within the American Jewish community harden their views over the contentious U.S. presidential campaign, tensions between Israel and Iran, and issues from health care to marriage. "This is going to be a brutal year," he says. "We're looking at a scorched earth political environment." Felson’s group spearheads a nationwide civility initiative and held a "civility institute" last year to help Jewish leaders with conflict resolution, listening and "communicating across polarized divides." Leaders from 15 Jewish communities across the country participated. The council recently issued a civility statement signed by a range of prominent Jewish entities, saying the effort has "deep roots in Torah," the Jewish sacred text, and "in our community's traditions." But the statement also spoke to a troubled Jewish landscape. "The expression and exchange of views is often an uncivil, highly unpleasant experience,” it said. “Community events and public discussions are often interrupted by raised voices, personal insults, and outrageous charges." Jane Schiff, a Jewish Council for Public Affairs board member who is also on the group’s civility task force, says she has seen the hostile atmosphere take its toll in her Atlanta community, with rabbis backing off from talking about Israel. "They are afraid it will affect their employment. I'm seeing friends saying to each other, 'I'm not talking to you about that because I want to stay your friend,' " she said of controversial issues such as the Israeli-Palestinian conflict. Judy Saks, the community relations director for the Jewish Federation of Nashville and editor of the federation-produced community newspaper, can attest to the vituperation. In May, an online video surfaced about Muslims in Nashville that said they were fomenting pro-terrorist ideas. Called “Losing our Community,” the video was produced by a Boston-based group called Americans for Peace and Tolerance. A video on the group’s website says one Nashville Muslim figure it regards as radical has been embraced by “self-described progressive Jewish religious leaders," including a rabbi, and is respected as an interfaith activist in the community. Saks said that the original video blasted three Nashville rabbis but that two were removed after several weeks. Americans for Peace and Tolerance did not respond to a request for comment. "It brought out such divisiveness in this community,” Saks said. “It pointed fingers at our rabbis for doing what rabbis do." The organized Jewish community decided to draw up its own civility statement, which supports "robust and vigorous debate about critical issues – as long as it is civil and tolerant" and disagreement "without threats of reprisal." "This willingness to listen to other points of view honors Nashville's spirit as an open, welcoming and friendly city, our nation's history and our Jewish heritage," it said. "We will not engage with those who threaten the safety and security of our community." In California's San Francisco Bay Area, controversy erupted over a film about Rachel Corrie shown at a 2009 San Francisco Jewish film festival. Corrie, an American member of the International Solidarity Movement who was killed in Gaza nine years ago by an Israel Defense Forces bulldozer, symbolizes for many the battle on the left against Israel's occupation of Palestinian territories. Corrie's mother spoke at the event, angering some Jews, who said her appearance politicized what was supposed to be an artistic moment. The reaction to the film reflected the political fissures in the Bay Area Jewish community. In response, two community leaders, Abby Michelson Porth and Rachel Eryn Kalish, co-founded Project Reconnections, which included an initiative called the Year of Civil Discourse. The well-funded effort throughout 2011 worked to bring Jews of different political stripes together for dialogue and deliberation, study and workshops. It also focused on reconciliation in four synagogues beset by political enmity and engaged community leaders over issues such as the Middle East. Porth, also associate director at the Bay Area Jewish Community Relations Council, says the project helped infuse the community "with the skills and the opportunity to have a rich, meaningful and civil discourse." She says it got people on opposite ends of the spectrum to stay at the table to understand the other person's point of view and to to deliberate thoughtfully over disagreements. Kalish, the Year of Civil Discourse project facilitator, saw people’s "fight or flight" instincts shift as they learned to communicate thoughtfully and gain a deeper understanding of issues such as Jewish settlements and the status of Jerusalem. A healthy conversation, Kalish said, helps people think and understand that "maybe there's a third way" to approach a stubborn issue. She recalls an interaction in one synagogue between an older man who lived through Israel's War of Independence in 1948 and the Six Day War in 1967 and a young woman who sees Israel through the prism of its criticized actions in Lebanon and the Palestinian territories. The two synagogue members came to understand each other and now work side by side as dialogue "facilitators" at their congregation. Kalish cites this as an example of "pretty dramatic change" in learning how to listen and speak honesty and respectfully. Mitch Chanin, executive director of the Jewish Dialogue Group in Philadelphia, offers dialogue programs for Jews in synagogues, colleges and other organizations and trains people as dialogue facilitators. The group formed in 2001 and has done work across North America. Chanin, who says his group refrains from promoting political opinion, says the dialogues have included talking through the tough issues around the Middle East conflict. "People grapple with the questions of what risks are we willing to take and what actions are ethical. Who can we trust and not trust?" Chanin said. "The likely consequences of Israeli policies. What are the intentions of Palestinian actors? “What can we do to be safe? When is it OK to kill? When is it necessary? When is it wrong? When are there alternatives?" I'm really impressed along with your writing skills as smartly as with the layout in your blog. Is this a paid theme or did you modify it your self? Anyway stay up the excellent high quality writing, it's rare to see a great blog like this one nowadays..
You already know thus considerably when it comes to this matter, made me in my opinion believe it from a lot of various angles. Its like men and women aren't interested except it is one thing to accomplish with Lady gaga! Your own stuffs excellent. At all times maintain it up! Google (John Pilger; Palestine is still the issue. What I'd like to know is, how come this Jewish editor gets no penalty other than being fired for promoting assassination of President Obama, when any other ordinary person would be in jail for such talk? Why the discrepancy in treatment? Aren't we all equal under the law? Good for you. You are a good pet. Now get me a soda. After, viewing all of the inapropriate speach here today, I ask myself Who are you people? You obviously do not know the Kora, or the Tora. Ive heard of the blessings and you're about to endure the prophesy's that are insued in Revelations. Such idiocracy, and ignorance. How many of you are practicing jews? The Palestinians have always claimed what the lord gave Israel, Israel due to lack of faith and greed have detered the land as a bartering tool to obtain peace? I am ashamed of all who profess such idolitry and sinful lack of knowledge. The European peoples did not cause your pathetic views. Israel, will envolve the European counterparts for protection from the surrounding of nations against Israel waiting to devour her. Israel, is the mother of us all and in reality deserves the respect and inteligence of what seems to be lacking in its Jewish community. The answer as the lord put it was thjat Israel, defied God once again and needs as a nation to "Repent", of its sins and turn toward God himself for protection' Man is an abomination to God, and so are his deeds. We cannot live without his guidance and correction. It is true the jewish leaders need to justify their divenace and unscrupilous concepts of greed and malice toward mankind, this was never a blessing. I think personally all of you should read the scriptures and learn what it sez'? If there is anyone with a mind, exercise its potential. Chimo, I agree with you 100% ! May God Bless you and may God Bless Isarel forever!!! PS Prayer does change Things! Israel does not own the West Bank, Gaza or East Jerusalem. So, yes, the Jewish settlers have stolen the land where they built their illegal houses. You hate anti-Semites? Seems you are cast from the same mold. Hatred is hatred, whether toward Jews or from Jews. One sick Hindu extremist picking on another sick extremist group. You should add Church buring; priest and his children burnt alive by Jeddi-wallas in India. • Fat Buddhas here, skinny Buddhas there, reincarnated Buddhas everywhere makes for a no on Buddhism. I'll just say it this way. There are maybe 4 or 5 nut-jobs here that are playing at being big nasty white supremacists. It's pretty weak stuff. Have a look at stormfront.org. They worry about fluoride in their water, they love David Duke (remember him? ), and they don't want any profanity on their site. There is absolutely nothing to them. Seriously, what can be more supremacist than referring to your jewish selves as the chosen people. Really, the audacity of you jews amazes me. @populist1488 on Youtube – Palestinians are now trying to win over evangelicals by claiming that the Palestinians are the real Jews, while the Israeli Jews are false Jewish converts from Eastern Europe. This is just one of many examples that Islam has no problem claiming supremacy for itself! Someone should let you know what it actually means to be chosen, populist1488. I'll just say it this way: we were chosen when your ancestors were still painting themselves blue and living in trees. We taught you and are still teaching you most of what you know. We do that because that is what we are expected to do as God's people in the world. Your envy is not new. We've seen it for thousands of years. We still do what we are expected to do. "There are maybe 4 or 5 nut-jobs here that are playing at being big nasty white *supremacists." "I'll just say it this way: we were chosen when your ancestors were still painting themselves blue and living in trees." *Supremacist – a person who believes in or advocates the supremacy of a particular group, especially a racial group. Like I said, envy. I don't feel particularly superior, but you feel inferior. So you think I'm the supremacist and you're what? Some sort of victim? I read the Stormfront website last night. There was a part called Crimes of the Jews. No one could come up with anything, but everyone agreed that it was a great idea to have a list. Real sad. Stop playing at being a victim. It doesn't look good on you. I think that all of humanity is the "chosen" people. When we start throwing that type of slogan around, we get to societies with brown shirts and Hitler youth. Religious belief, if strongly held, inevitably - always - has led to conflict. But maybe its day has come, where its murderous proclivities will have some benefit for society. In today's world, where too many people face too many other people and communication is too free, perhaps a few good interfaith (and intrafaith) wars would thin out the population some and at least get rid of most of the more devout fundamentalists. That would seem an unmitigated good deal - a consummation devoutly to be wished. Go get 'em, holy hot-heads. Religion is like a disease that sickens society as a whole with its brainwashing BS. STEP research proves you wrong. What's all this, Stormfront? Not getting your fluoride?